Mrs. Heilman started her martial arts training (self-defense class) with Hidy Ochiai at Albright College in 1965, with formal training in Karate starting in 1968. She became a member of the United States Karate Association (USKA) under Robert Trias in 1969. She Co-Founded the Heilman Karate Academy in Reading, PA with her husband, Mr. Heilman in 1972 and received her Black Belt (Shodan) in 1974. she traveled to Okinawa in 1983 and became accepted along with her husband as students of Okinawa Kenpo Master Seikichi Odo. Competed nationally during the 1970-72 and 1983-86 time periods earning many National Championship Certificates from the USKA and a TOP Ten Ranking by STAR Rating System. She was awarded the OKKKF Competitor of The Year award in 1986 from Master Odo. In 1987, the HKA was renamed by Master Odo as the USA Branch of Odo's Home Dojo "Shudokan". She was Co-Founder and Vice-President of the IKKF in 1991, and inducted into the USKA Hall of Fame in 1996. In 1999 Mrs. Heilman was appointed as Assistant Director of the Okinawa Kenpo Karate Kobudo Union (OKKKU). In 1999 Mrs. Heilman returned to competition winning a World Championship in Women's Senior Black Belt Kata at the USKA Worlds in New Orleans, LA. She was inducted into the Kumite International Hall of Fame in 2001 and the Pennsylvania Karate Rating Association Hall of Fame in 2001. She received her last promotion to 8th Dan in 2001 from the OKKKU and the IKKF. Mr. Hayes enlisted in the U.S. Marine Corps in 1964. During his service he served two tours of duty in Iwakuni, Japan and three tours on the Island of Okinawa. During his time in Okinawa he capitalized on the availability of martial arts instruction in an effort to continue his karate training which began in 1960. His service record was exceptional ultimately leading to his advancement through the ranks to his final grade of Major at which he retired from the Corps in 1990. He was the past President of the U.S. Branches of the Okinawan Shorin-ryu Karate-do International Association and was also the past Historian of that Okinawan based organization. He also served as the editor for the Okinawan shorin-ryu Karate-do International Association's Journal and now writes and publishes a quately international martial arts newsletter. Additionally he is the author of "My Journey with the Grandmaster, a book centering on his experiences on Okinawa with his instructor Hanshi Eizo Shimabukuro, 10th Dan, Okinawa. ajor Hayes is one of the most senior students of Master Shimabukuro and has dedicated much of his life to the study, preservation, and propagation of Okinawan martial culture. He has been inducted into the Karate Masters' Hall of Fame and the American Okinawan Karate Association Hall of Fame. He is a charter member of the Marine Martial Arts Federation and was awarded the "Living Legend" award by the Nippon Kenpo Karate-do Jitus-Ha organization. He is currently the Director of both the Okinawan Shorin-ryu Karate-do Research Society and the Shobayashi-Kan training group. Photo of Hanshi Isaac, new Hanshi's Hayes and Heilman, and Hanshi C. Bruce Heilman at the 2013 IKKF / ISMR Joint Annual Training Banquet. 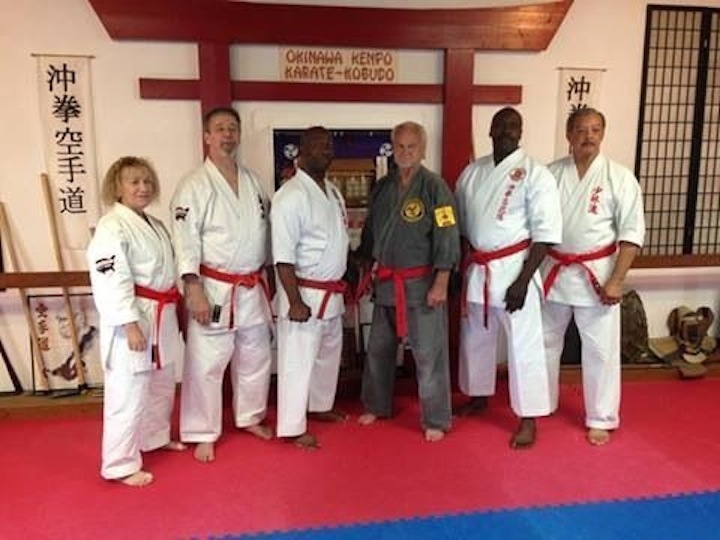 Mr. Bill Hayes and Mrs. Ann-Marie Heilman were promoted to Hanshi, 9th Dans, and Mr. Isaac and Mr. Heilman also received recognition certificates from Okinawa for their current ranks of Hanshi, 10th Dans. Group photo of the Hanshi's at Sunday morning training at the 2013 IKKF / ISMR Joint Annual Training. 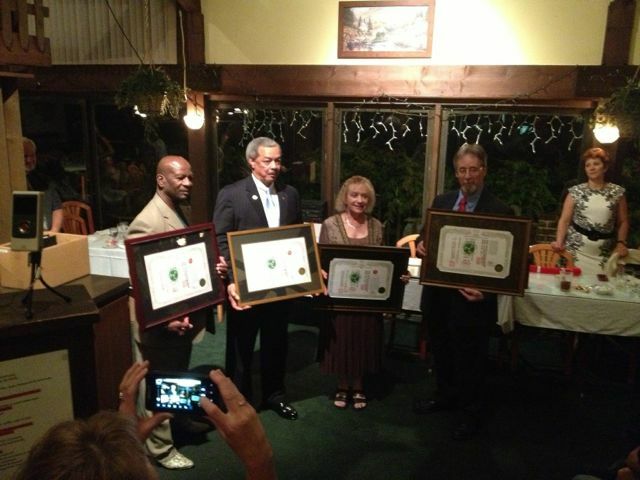 From left to right: Ann-Marie Heilman, C. Bruce Heilman, Larry Isaac, Jody Paul, Charles Mann, and William Hayes. Photo of newly promoted Hanshi Ann-Marie Heilman.